Maharashtra Government is setting up a new Cyber University dedicated to mitigating cyber threats. It will train 3,000 professionals to fight online space cyber-attacks, internet crimes and conduct cyber forensics. The Cyber University will provide for and prepare internet professionals on lines of Microsoft Certified Professional Program. It will conduct courses in data analytics, cloud computing, blockchain, AI, cyber forensics and cyber investigations. It will also impart training in 15 other Internet of Things (IoT) areas such as Data Analytics and Artificial Intelligence (AI). For this university, state government will provide different levels of training and enable affiliated colleges to impart certification for the 15 courses. It will also supply infrastructure for training and education. What is the Need for a Cyber University? Cyber-attacks India are taking place every 10 minutes as opposed to 12 minutes previously. 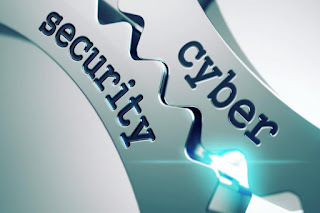 The current demand of cyber professionals hovers around 30 lakh. The university will be a remedy for this by providing required human resource and bridge skill gap. Maharashtra Government is also in process of setting up its version of Indian Computer Emergency Response Team (CERT-In) to ward off external cyber threats. Q. Which state government is setting up a new Cyber University dedicated to mitigating cyber threats?